xposed rocky shore at Bradys Beach, Bamfield, B.C.. 24 Oct 2014. Bridgette Clarkston. © 2014 Bridgette Clarkston. lower intertidal, RÃ­a de Arousa, Galicia, Spain, 2013, Ignacio BÃ¡rbara. 27 Dec 2013. Ignacio Bárbara. © Ignacio Bárbara (barbara@udc.es). Point Lonsdale, Victoria, Australia; with Hormosira banksii on open rock. 18 Nov 2013. M.D. Guiry. © M.D. Guiry (michael.guiry@algaebase.org). Point Lonsdale, Victoria, Australia; in rock-pool. 18 Nov 2013. M.D. Guiry. © M.D. Guiry (michael.guiry@algaebase.org). lower intertidal, South of Galicia, Spain 2012. Ignacio Bárbara. © Ignacio Bárbara (barbara@udc.es). lower intertidal with C. tomentosum, North of Galicia, Spain 2012. Ignacio Bárbara. © Ignacio Bárbara (barbara@udc.es). lower intertidal, North of Galicia, Spain 2012. Ignacio Bárbara. © Ignacio Bárbara (barbara@udc.es). Published in: Hariot, P. (1889). Algues. In: Mission Scientifique du Cap Horn. 1882-1883. Tome V. Botanique. Cryptogamie. (Hariot, P., Petit, P., Muller De Argovie, J., Bescherelle, E., Massolongo, C. & Franchet, A. Eds), pp. 3-109. Paris: Gauthier-Villars et Fils, Imprimieurs Libraires. Type locality: Japan (Suringar 1867: 258). Type: L 910, 187...1712 (Womersley 1984: 238). Codium fragile in Oregon and California requires reassessment (Trowbridge in Gabrielson, Widdowson & Lindstrom 2004: 12). Two forms are apparent but futher studies are required. Chinese: Sui song (Lembi & Waaland 1988). English: Fleece, Sponge Tang (Madlener 1977), Sponge Seaweed, Sponge Weed, Green Sea-Velvet (Anon. 2000), Green Sponge Fingers, Fragile Green Sponge Fingers (Bunker et al. 2010). Amitage, C.S. & Sjøtun, K. (2016). Codium fragile in Norway: subspecies identity and morphology. Botanica Marina 59(6): 439-450, 5 fig..
Cherif, W., Ktari, L., El Bour, M., Boudabous, A. & Grignon-Dubois, M. (2016). Codium fragile subsp. fragile (Suringar) Hariot in Tunisia: morphological data and status of knowledge (Note). Algae. An International Journal of Algal Research 31(2): 129-136. Kusakina, J., Snyder, M., Kristie, D.N. & Dadswell, M.J. (2006). Morphological and molecular evidence for multiple invasions of Codium fragile in Atlantic Canada. Botanica Marina 49: 1-9. Mya Kyawt Wai, Thida Nyunt, Soe Pa Pa Kyaw and Soe-Htun, U. (2009). The morphology and distribution of the genus Codium (Bryopsidales, Chlorophyta) from Myanmar. Journal of Myanmar Academy of Arts and Science 7(5): 183-187. Provan, J., Booth, D., Todd, N.P., Beatty, G.E. & Maggs, C.A. (2008). Tracking biological invasions in space and time: elucidating the invasive history of the green alga Codium fragile using old DNA. Diversity and Distributions A Journal of Conservation Biogeography 14: 343-354. Verbruggen, H., Brookes, M.J.L. & Costa, J.F. (2016). DNA barcodes and morphometric data indicate that Codium fragile (Bryopsidales, Chlorophyta) may consist of two species. Phycologia 56(1): 54-62. Accesses: This record has been accessed by users 23296 times since it was created. Armitage, P.R., Nelson, W.A. & Sutherland, J.E. (2017). Mismatch of morphological and molecular identifications in native and invasive subspecies of Codium fragile (Bryopsidophyceae, Chlorophyta). Journal of Phycology 53(1): 218-229. Bégin, C. & Scheibling, R.E. (2003). 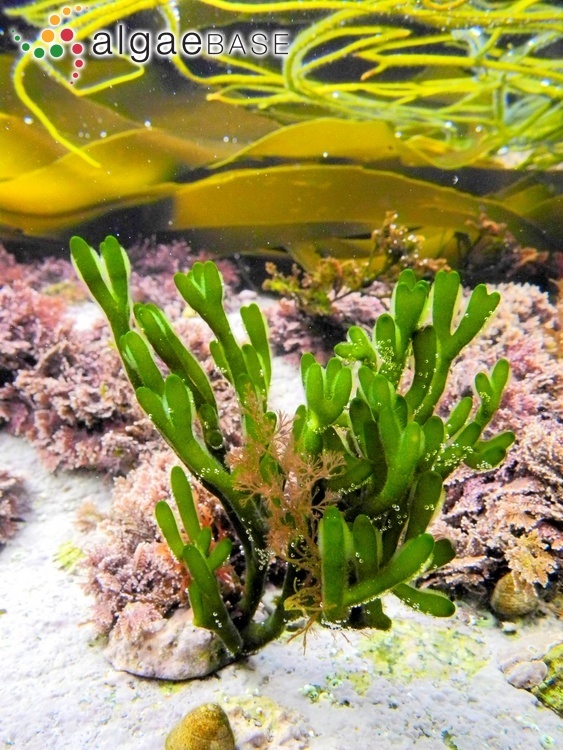 Growth and survival of the invasive green alga Codium fragile ssp. tomentosoides in tide pools on a rocky shore in Nova Scotia. Botanica Marina 46: 404-412. Blunden, G., Fletcher, R.L., Smith, B.E., Rogers, D.J. & Fish, B.C. (1989). An unusual growth form of Codium fragile (Sur.) Hariot subspecies tomentosoides (Goor) Silva found on floating structures in the Solent. British Phycological Journal 24: 299. Borden, C.A. & Stein, J.R. (1969). Mitosis and mitotic activity in Codium fragile (Suringar) Hariot (Chlorophyceae). Phycologia 8: 149-155. Borden, C.A. & Stein, J.R. (1969). Reproduction and early development on Codium fragile (Suringar) Hariot: Chlorophyceae. Phycologia 8: 91-99. Bulleri, F., Branca, M.G., Abbiati, M. & Airoldi, L. (2007). Development of reproductive structures in the introduced green alga, Codium fragile ssp. tomentosoides. in the northern Adriatic Sea. European Journal of Phycology 42(2): 137-144, 4 Figs, 2 Tables. Campbell, S.J. (1999). Occurrence of Codium fragile subsp. 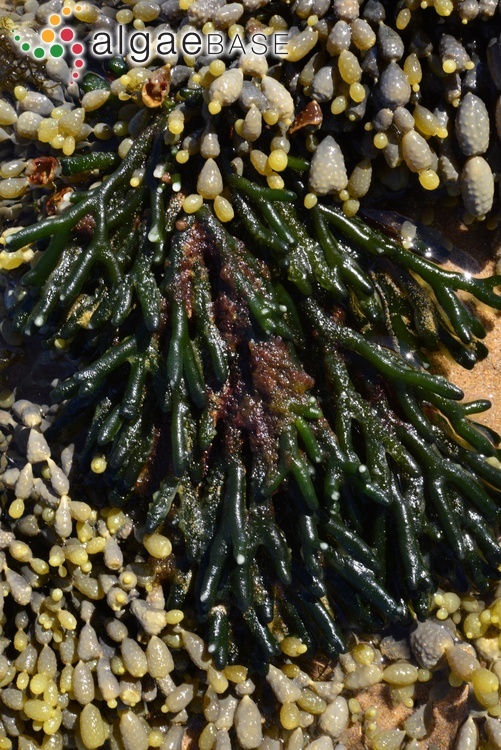 tomentosoides (Chlorophyta: Bryopsidales) in marine embayments of southeastern Australia. Journal of Phycology 35: 938-940, 1 fig. Carlton, J.T. & Scanlon, J.A. (1985). 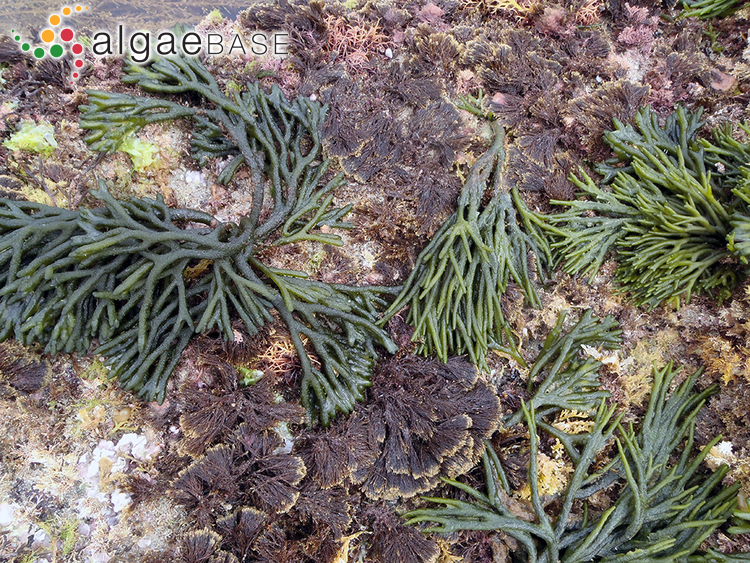 Progression and dispersal of an introduced alga: Codium fragile ssp. tomentosoides (Chlorophyta) on the Atlantic Coast of North America. Botanica Marina 28: 155-165. Chapman, A.S. (1999). From introduced species to invader: what determines variation in the success of Codium fragile ssp. tomentosoides (Chlorophyta) in the North Atlantic Ocean. Helgoländer Meeresuntersuchungen 52: 277-289. Churchill, A.C. & Moeller, H.W. (1972). Seasonal patterns of reproduction in New York. Population of Codium fragile (Sur.) Hariot subsp. tomentosoides (Van Goor) Silva.. Journal of Phycology 8: 147-152. Delgado, A. & Duville, C.A. (1977). Estudio de la composición química de Codium fragile (Suringar) Hariot (Chlorophyta) en Pto. Deseado (Prov. de Santa Cruz, Argentina). Contribución Técnica CIBIMA 31: 9. Dromgoole, F.I. (1975). Occurrence of Codium fragile subspecies tomentosoides in New Zealand waters. New Zealand Journal of Marine and Freshwater Research 9: 257-264. Drouin, A., McKindsey, C. & Johnson, L. (2011). Detecting the impacts of notorious invaders: experiments versus observations in the invasion of eelgrass meadows by the green seaweed Codium fragile. Oecología : . Feldmann, J. (1956). Sur la parthénogénèse du Codium fragile (Sur.) Hariot dans la Méditerranée. Compte Rendu Hebdomadaire des Séances de l'Académie des Sciences, Paris 243: 305-307. Fletcher, R.L., Blunden, G., Smith, B.E., Rogers, D.J. & Fish, B.C. (1989). Occurrence of a fouling, juvenile, stage of Codium fragile ssp. tomentosoides (Goor) Silva (Chlorophyceae, Codiales). J Appl Phycol 1: 227-237. Fralick, R.A. & Mathieson, A.C. (1972). Winter fragmentation of Codium fragile (Suringar) Hariot ssp. tomentosoides (Van Goor) Silva (Chlorophyceae, Siphonales) in New England. Phycologia 11: 67-70. Fralick, R.A. & Mathieson, A.C. (1973). Ecological studies of Codium fragile in New England, USA. Marine Biology, Berlin 19: 127-132. Furnari, G. (1974). Codium fragile (Suringar) Hariot in the Lake Faro (Messina). Mem Biol Marina e Oceanogr 4: 193-199. Furnari, G. (1974). Segnalazione di Codium fragile (Suringar) Hariot nel lago di Faro (Messina). Mem. Biol. Mar. Oceanogr. 4: 193-199. Garbary, D.J., Vandermeulen, H. & Kim, K.Y. (1997). Codium fragile ssp. tomentosoides (Chlorophyta) Invades the Gulf of St Lawrence , Atlantic Canada. Botanica Marina 40: 537-540. Griffin, R.L., Rogers, D.J., Spencer-Phillips, P.T. & Swain, L. (1995). Lectin from Codium fragile ssp. tomentosoides conjugated to colloidal gold: a new histochemical reagent.. Br. J. Biomed. Sci. 52: 225-227. Hanisak, M.D. & Harlin, M.M. (1978). Uptake of inorganic nitrogen by Codium fragile subsp. tomentosoides (Chlorophyta). Journal of Phycology 14: 450-454, 1 fig, 3 tables. Hanisak, M.D. (1979). Effect of indole-3-acetic acid on growth of Codium fragile subsp. tomentosoides (Chlorophyceae) in culture. Journal of Phycology 15: 124-127. Hedberg, M.F., Huang, Y.-S. & Hommersand, M.H. (1981). Size of the chloroplast genome in Codium fragile. Science 213: 445-447. Hewad, W.D. & Carpenter, E.J. (1975). Nitrogen fixation associated with the marine macroalga Codium fragile. Limnology and Oceanography 20: 815-823. Hubbard, C.B. & Garbary, D.J. (2002). Morphological variation of Codium fragile (Chlorophyta) in Eastern Canada. Botanica Marina 45: 476-485. Hwang, E.K., Baek, J.M. & Park, C.S. (2009). Cultivation of the green alga, Codium fragile (Suringar) Hariot, by artificial seed production in Korea. Proceedings of the International Seaweed Symposium 19: 19-25, 4 figs, 2 tables. Jónsson, S. & Gunnarsson, K. (1975). La presence du Codium fragile (Sur.) Hariot en Islande et son extension dans l'Atlantique Nord. Nova Hedwigia 26: 725-732. Jurd, K.M., Rogers, D.J., Blunden, G. & McLellan, D.S. (1995). Anticoagulant properties of sulphated polysaccharides and a proteoglycan from Codium fragile ssp. atlanticum. J. Appl. Phycol. 7: 339-345. Kadokami, K., Yoshida, N., Mizusaki, K., Noda, K. & Makisumi, S. (1990). Some properties of trypsin-like proteases extracted from the seaweed Codium fragile and their purification. Marine Biology, Berlin 107(3): 513-517. Kim, K.Y. & Garbary, D.J. (2007). Photosynthesis in Codium fragile (Chlorophyta) from a Nova Scotia estuary: responses to desiccation and hyposalinity . Marine Biology, Berlin 151: 99-107. Lassen, C., Bebout, L.E., Paerl, H.W. & Jørgensen, B.B. (1994). Microsensor studies of oxygen and light distribution in the green macroalga Codium fragile. Journal of Phycology 30: 381-386, 7 figs. Loveless, R.W. & Rogers, D.J. (1985). Biochemical studies on the lectins from subspecies of Codium fragile. British Phycological Journal 20: 188. Malinowski, K.C. & Ramus, J. (1973). Growth of the green alga Codium fragile in a Connecticut estuary. Journal of Phycology 9: 102-110. Manhart, J.R. & VonderHaar, R.A. (1991). Intron revealed by nucleotide sequence of large subunit of ribulose-1,5-bisphosphate carboxylase/oxygenase from Codium fragile (Chlorophyta): phylogenetic analysis. Journal of Phycology 27: 613-617, 3 figs. Matheson, K., McKenzie, C.H., Sargent, P.S., Hurley, M. & Wells, T. (2014). 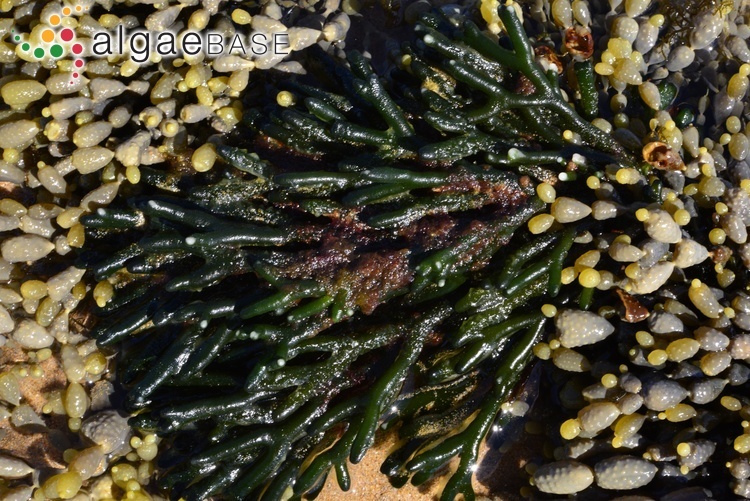 Northward expansion of the invasive green algae Codium fragile spp. fragile (Suringar) Hariot, 1889 into coastal waterd of Newfoundland, Canada. Bioinvasions Rec. 3: 151-158. Mathieson, A.C., Dawes, C.J., Harris, L.G. & Hehre, E.J. (2003). 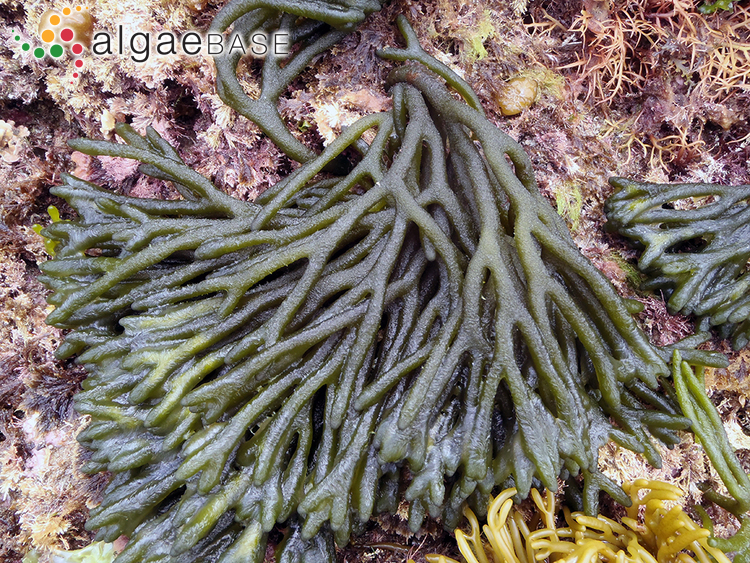 Expansion of the Asiatic green alga Codium fragile subsp. tomentosoides in the Gulf of Maine. Rhodora 105(921): 1-53. Meslin, R. (1954). Sur la naturalisation du Codium fragile (Suring.) Hariot et son extension aux côtes de Normandie. Bull. Lab. Mar. Dinard 49-50: 110-117. Miravalles, A.B., Leonardi, P.I. & Cáceres, E.J. (2011). Male gametogenesis ultrastructure of Codium fragile subsp. novae-zelandiae (Bryopsidophyceae, Chlorophyta). Phycologia 50(4): 370-378. Ortiz, J., Uquiche, E., Robert, P., Romero, N., Quitral, N., & Llantén, C. (2009). 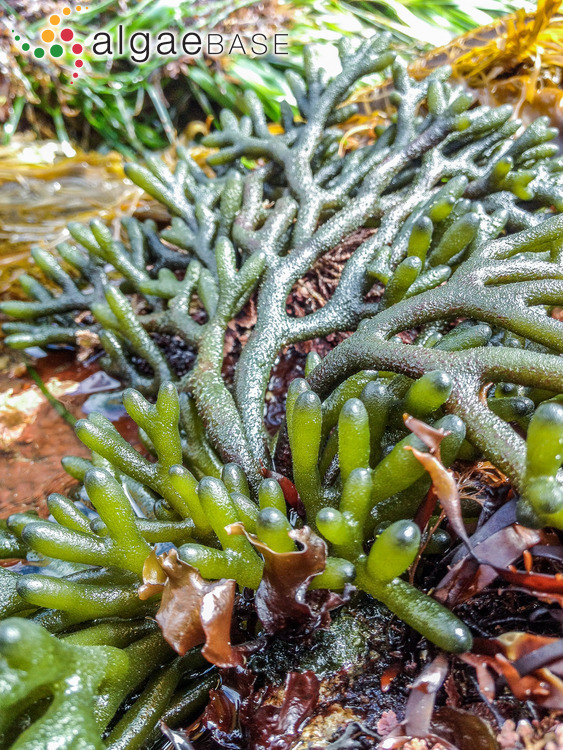 Functional and nutritional value of the Chilean seaweeds Codium fragile, Gracilaria chilensis and Macrocystis pyrifera. European Journal of Lipid Science and Technology 111: 320-?. Prince, J.S. (1988). Sexual reproduction in Codium fragile ssp. tomentosoides (Chlorophyceae) from the northeast coast of North America. Journal of Phycology 24: 112-114. Ramus, J. (1972). 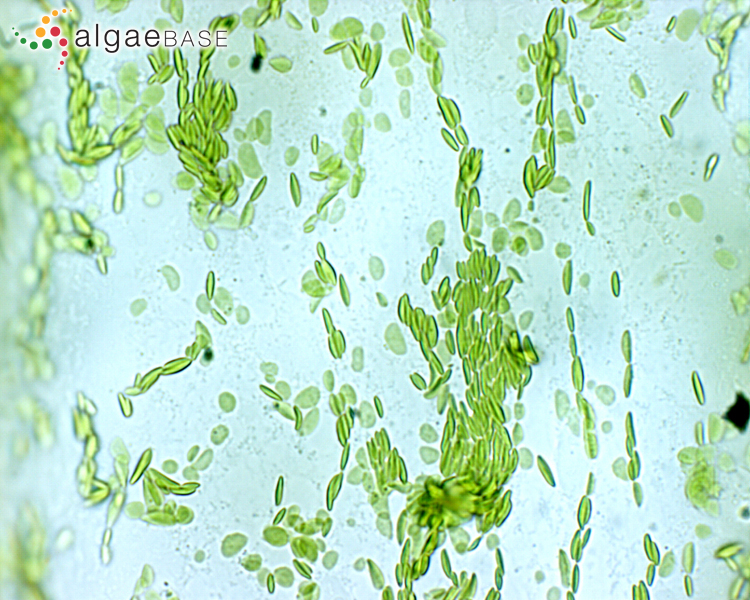 Differentiation of the green alga Codium fragile. American Journal of Botany 59: 478-482. Raven, J.A. & Osmond, C.B. (1990). 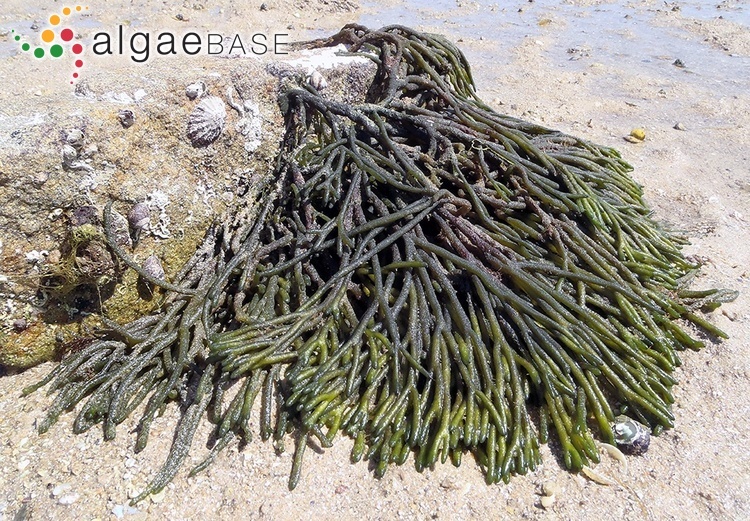 Bicarbonate use in photosynthesis by brown macroalgae and Codium fragile from North Carolina. British Phycological Journal 25: 94. Ricketts, T.R. (1971). The structures of siphonein and siphonoxanthin from Codium fragile. Phytochemistry 10: 155-160. Rogers, D.J. & Loveless, R.W. (1985). Receptor-specificity differences in the lectins from subspecies of Codium fragile. British Phycological Journal 20: 190-191. Rogers, D.J., Jurd, K., Blunden, G., Zanetti, F. & Paoletti, S. (1990). Anticoagulant activity in extracts of the green alga Codium fragile subsp. atlanticum. British Phycological Journal 25: 96. Scheibling, R.E. & Melady, R.A. (2008). 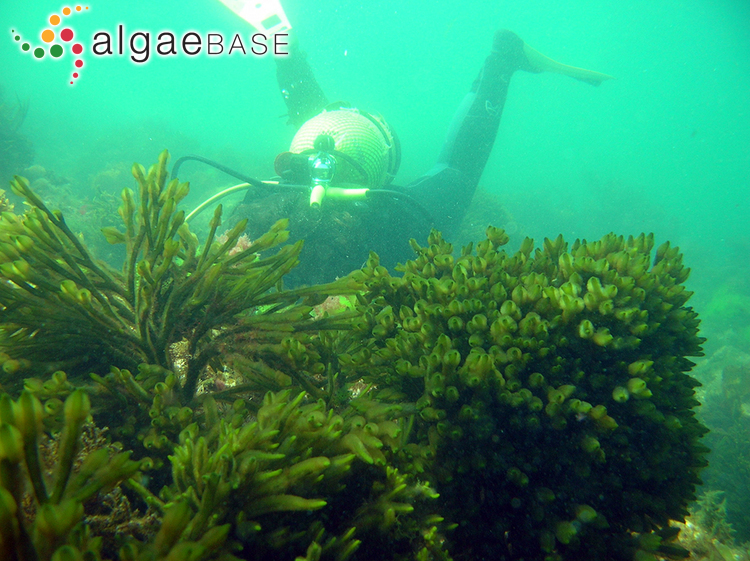 Effect of water movement and substratum type on vegetative recruitment of the invasive green alga Codium fragile ssp. tomentosoides. Botanica Marina 51: 341-349. Schmidt, A.L. & Scheibling, R.E. (2006). A comparison of epifauna and epiphytes on native kelps (Laminaria species) and an invasive alga (Codium fragile ssp. tomentosoides) in Nova Scotia, Canada.. Botanica Marina 49: 315-330. Searles, R.B., Hommersand, M.H. & Amsler, C.D. (1984). The occurrence of Codium fragile subsp. tomentosoides and C. taylorii (Chlorophyta) in North Carolina. Botanica Marina 27: 185-187. Trowbridge, C.D. (1995). 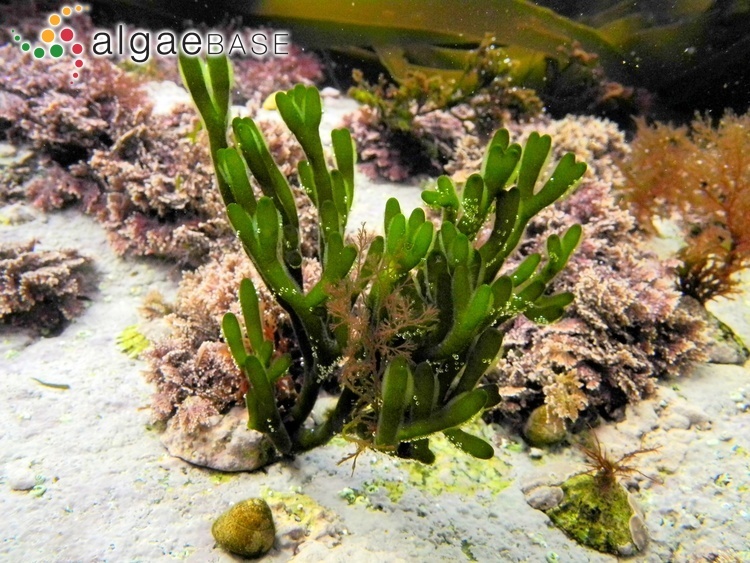 Establishment of the green alga Codium fragile ssp. tomentosoides on New Zealand rocky shores: current distribution and invertebrate grazers. Journal of Ecology 83: 949-965. Trowbridge, C.D. (1998). Ecology of the green macroalga Codium fragile (Suringar) Hariot 1889: invasive and non-invasive subspecies. Oceanography and Marine Biology Annual Review 36: 1-64. Wassman, E.R. & Ramus, J. (1973). Primary-production measurements for the green seaweed Codium fragile in Long Island Sound. Marine Biology, Berlin 21: 289-297. Williams, M.L. & Cobb, A.H. (1985). Effects of irradiance and light quality on starch synthesis by isolated chloroplasts of Codium fragile. New Phytologist 101: 79-88. Yotsui, T. & Migita, S. (1989). 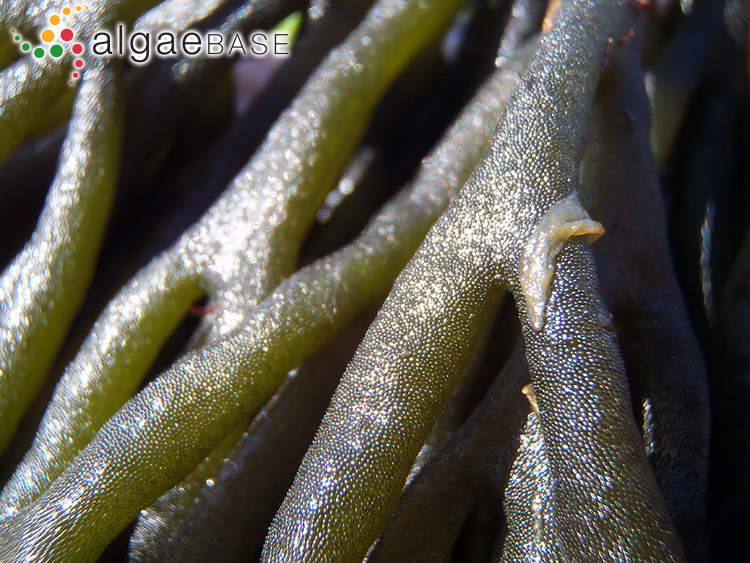 Cultivation of a green alga Codium fragile by regeneration of medullary threads. Nippon Suisan Gakkaishi 55: 41-44. Yu, S. & Pedersén, M. (1989). Light/DTT-activated fructose bisphosphatase in isolated chloroplasts from the marine green macroalga Codium fragile (Sur.) Hariot. Botanica Marina 32: 79-84.